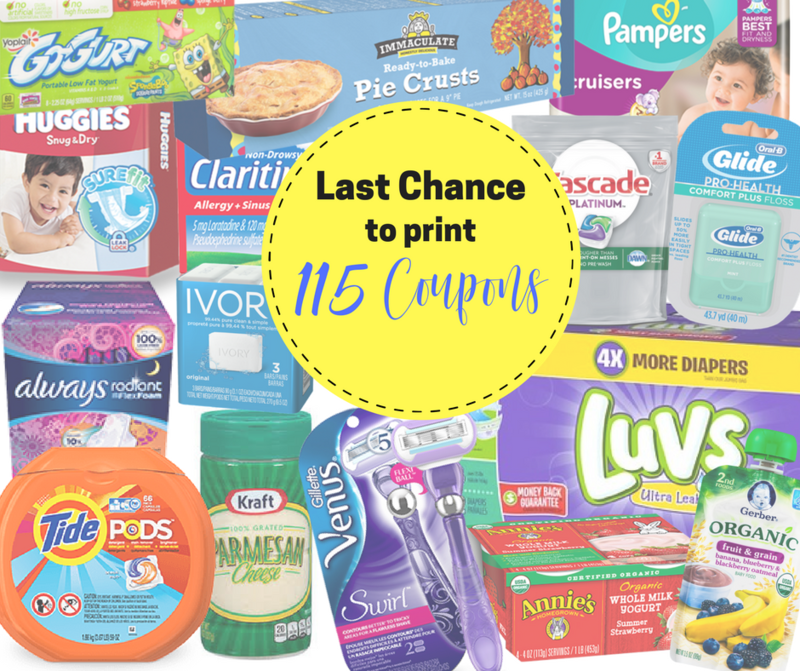 Home > Printable Coupons > Last Chance to Print Over 115 Coupons! Last Chance to Print Over 115 Coupons! Today is the last day of the month! That means lots of coupons are going to come down on printable coupon sites. Go ahead and print any of these that you will use. They will good for another 30 days after you print, so you’ll catch lots of deals when no one else can get the coupon!